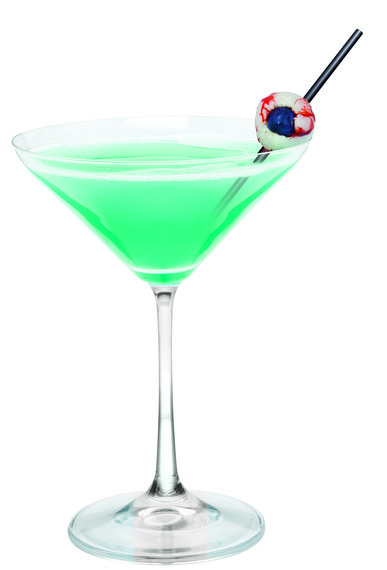 Leave the candy for the kids, a tasty signature cocktail is a must for any spook-tacular event. From scary good libations to boozy punches, these Halloween cocktails are sure to delight all party guests, ghosts, and goblins! In a punch bowl mix all ingredients except for prosecco. Add 6 cups of ice. Slowly pour in the prosecco. Serve. In a shaker filled with ice, mix all ingredients and shake well. Strain into martini glasses and serve. In a bar glass muddle basil leaves and lemon juice. Fill with ice and mix ingredients. Shake well and strain into glasses. 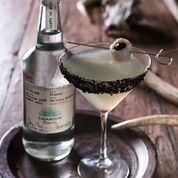 To rim glasses: Rub rims of glasses with lime juice and roll through mixture. For garnish: Press cherry into lychee and skewer to hold. In a pitcher filled with 2 cups ice, mix all ingredients. 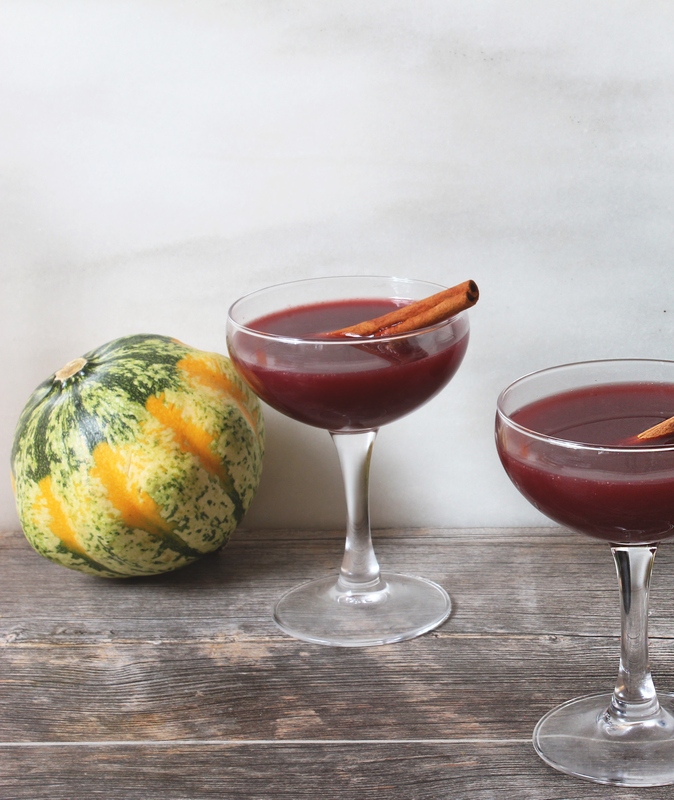 Pour into glasses and garnish with cinnamon stick and maraschino cherry. Serve. 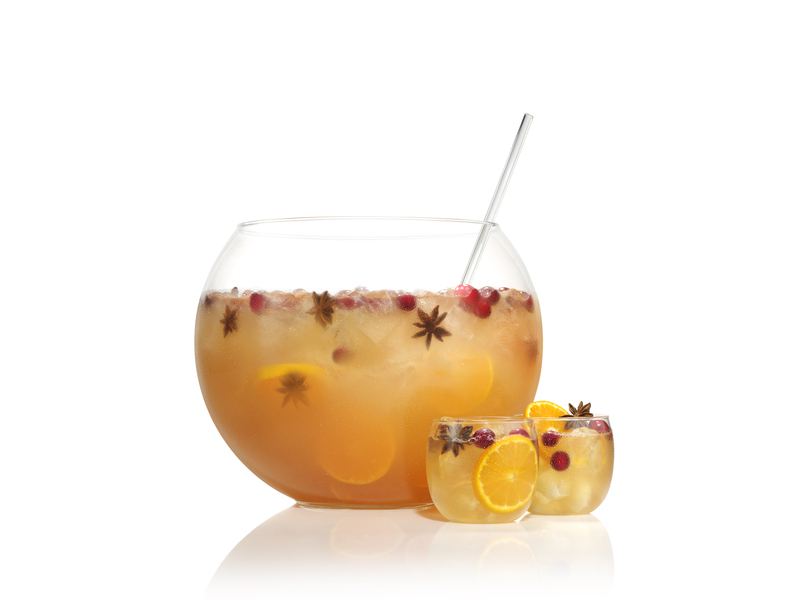 In a punch bowl filled with 4 cups of ice, mix all ingredients. Top with seltzer, add garnishes, and serve. Perfect for Halloween parties with its dark and ominous artwork. Beseiged's chilling label belies the bottle's rich, warm contents. 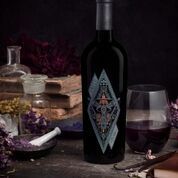 The wine is a unique blend of Petite Sirah, Carignane and Zinfandel grapes with notes of blackberry, black cherry, and plum spiced with cardamom. Beseiged makes a spook-tacular wine to serve or to bring to all your Monster Mashes! Be the "scream" of the party with Saved red. 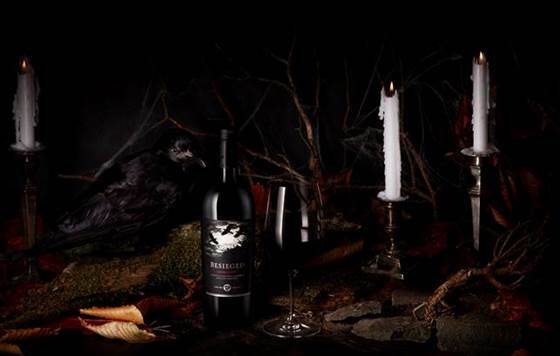 This ghoulishy-good wine is a uniquely Californian blend of Merlot, Zinfandel, and Syrah, which leaves the wine full bodied and plush. 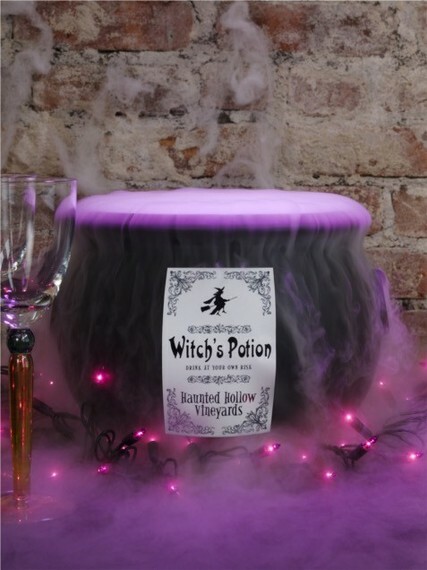 The ideal bring along wine for trick-or-treating!